Compared to the wire wound heating element, etched foil heating element is thinner and has much bigger surface contact area. The heat profile is more uniform, accurate and repeatable. Many options available for FPC industry can be applied to the manufacturing of etched foil heaters as well. We make use of etched foil heating element as much as possible, with a few exceptions like irregular 3D shaped heaters. Almost every flexible heater manufacturer claims to offer custom made products. We believe we are more knowledgeable and resourceful. You will see the difference when your specification is a little bit out of the normal range. Our capability is far beyond the heater meander design. The solutions we can offer include choice of different insulation materials, custom designed digital temperature controllers and sometimes the affiliated flex ciruict board. For performance boost, for cost saving, you will have much more possibilities with us. Our flexible heaters and temperature controllers carry UL and CE approvals. They also comply with the latest RoHS directives of EU. 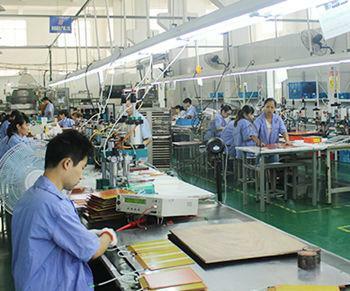 Our factory is ISO9001 and TS16949 certified. Feel free to check with us if you need more details. Over the years, we have built our reputation in the heating industry. Our customers scatter all over the world in various industrial sectors. We grow the business by being responsive, collaborative and accountable. If you are looking for a long term partner for flexible heater supply, feel free to contact us now. You will feel happy with this decision very soon.